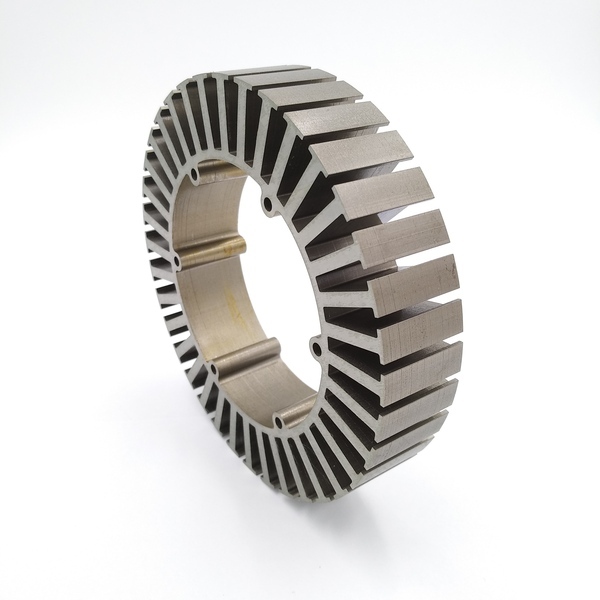 Stator bonding also called glued stators lamination or bonded stator lamination. how to do it and what is the advantage of this technology? A. Interlock: it is common technology that being applied for most of the stators. B. Loose Lamination: we combined our epoxy resin coating technology and our loos lamination technology to ensure the stators do not need any self-rivet point and welding to get perfect performance.. more details, please contact with us. 1. Punch the silicon steel sheet or EDM wire cut the silicon steel sheet. 4. bond the sheet together by Epoxy to a stator height as designed. 5. Baking and ensure the glue is harden. D. Welding: we provide Laser welding for the stator stacks to get narrow welding area. this technology normally used for prototype sample customization and special application where has large torque. More details about bonding technology, please feel free to contact with us for technical discussion.